Halloween might be over, but Mexico celebrates the Day of the Dead Nov 1-2 with candy, amaranth and sugar skulls (among other treats like atole, a sweet, hot drink). 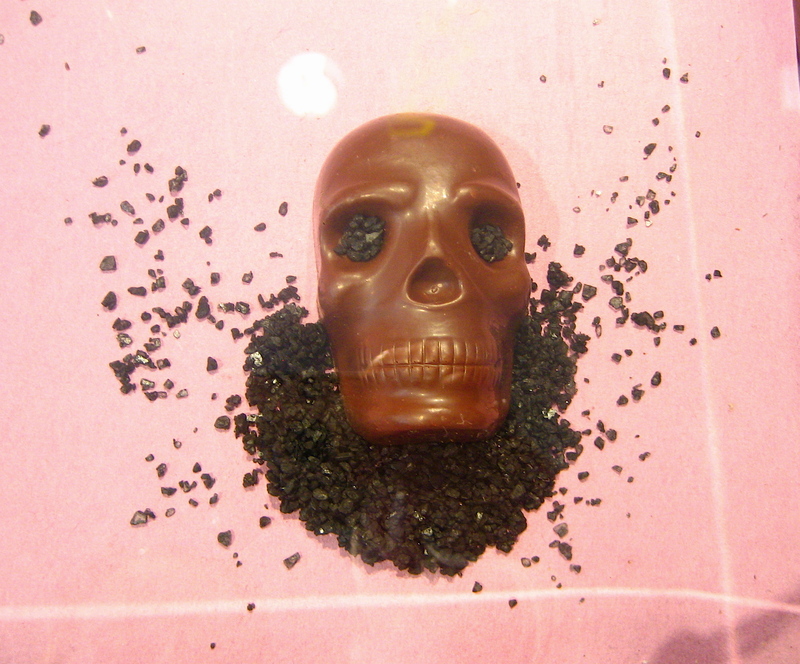 Vosges Chocolate’s new Day of the Dead Skulls are solid chocolate with black sea salt eyes in varieties like the Barcelona (hickory smoked almond with grey sea salt and deep milk chocolate), the Blanca (Venezuelan white chocolate) and the Red Fire (ancho and chipotle chilies, ceylon, cinnamon and dark chocolate). I spotted these sweet skulls in a very cool display in the Lincoln Park store (951 W. Armitage, 773.296.9866).